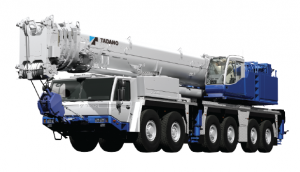 TADANO hydraulic cylinders are built into its cranes, that have established a name for themselves all around the world, and are outstanding especially in point of utility and lightweight. TADANO hydraulic cylinders are of such a high quality, time-proven and backed up by its experience and achievement, that you can rest assured of the durability of their sealing parts(packing and bearing) as well as sliding performance that have been co-developed with a specialist in the field. Counter balance valves, emergency breaker valves, etc.